Phumelele Ndumo is an author, financial advisor and a well known speaker. She has a solid business education, including a B.Com, a Higher Diploma in Computer Auditing and a Master’s degree in Business Leadership. She has extensive banking experience, having held senior positions at NBS Boland Bank, FNB and Nedcor. She has also served on a number of boards as a non-executive director. Phumelele is the founder of Thuthuka SA, a company with a mission to help the average South African become as wealthy as he or she can be. 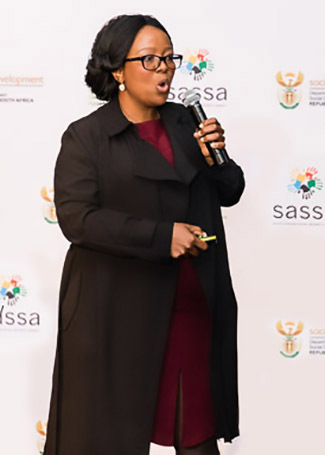 She has written two books: 7 Secrets Why the Rich own their own Homes and From Debt to Riches, which is a South African bestseller and has made the top 100 non-fiction books, according to Nielsen. Phumelele is passionate about teaching people how to manage their money. “Many of us never heard about financial planning growing up because our families were barely surviving. Now that people have decent and secure incomes, we need guidance to ensure that our futures are secure,” she says. In her spare time, Phumelele likes to read.